If there's one thing that totally deserves a listicle, it's the Top 9 Cat Moods. 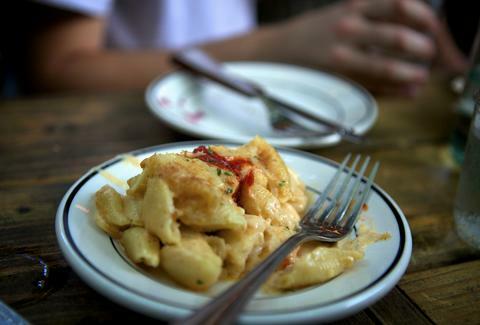 But if there's a second thing, it's the 10 Best Mac and Cheeses in NYC. To wit: here's a roundup of mostly standoffishly pensive cats the delicious-est plates of mac and c in the city. 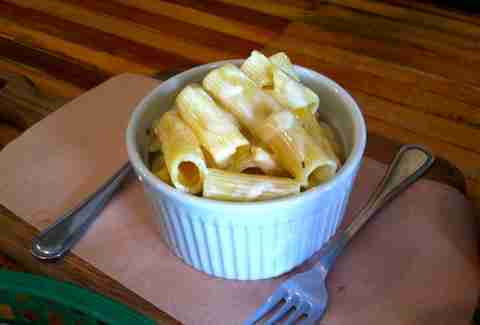 Gruyere, Parm, and Béchamel make their way onto/into tubes of penne pasta, and a crumbly, cheesy topping provides just the right kind of texture/crumbly-cheesiness for the dish. 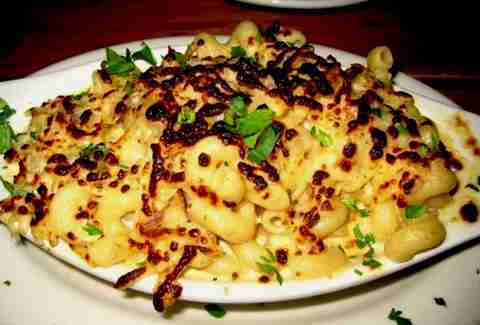 While other mac dishes sit coyly on appetizer or side menus ("We won't make you full, we swear! 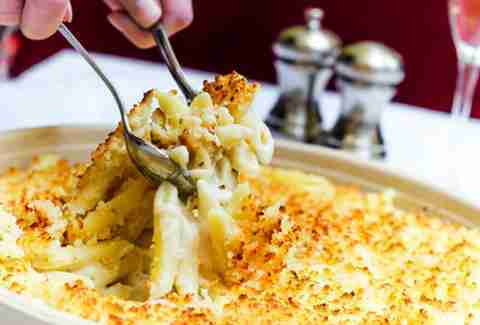 "), Le Grand Macaroni & Cheese unabashedly sits on the main menu -- a proudly massive serving of pasta, rich cheese, prosciutto, and chopped truffles. 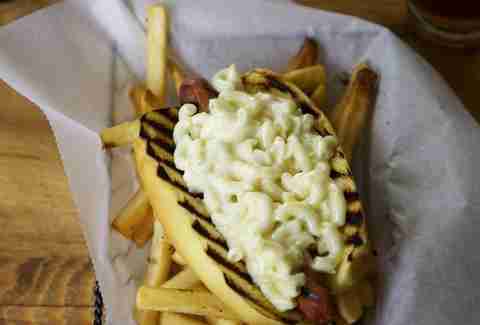 Their mac and cheese-covered Ditch Dogs qualify, because 1) they're covered in the melty good stuff, and 2) they're just plain awesome. It actually takes some balls to throw vegetables into this classic, but TQK pulls it off with this Gruyere, smoked mozz, and cheddar mess that sports green beans and caramelized onions. 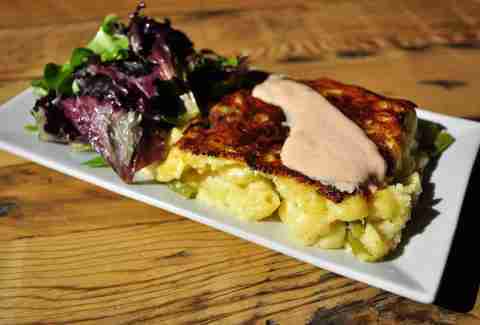 This favorite of the brunch-set brings with it a smoky Gouda Béchamel that gets even smokier with some added bacon. 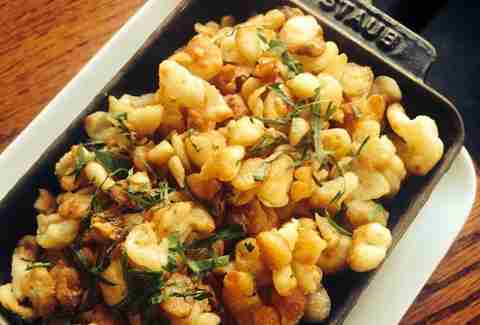 The dish itself is also perfectly presented with an expert crust on top, holding in a balance of creamy and chewy. So simple and yet so delicious, it's like the creamiest and best possible version of the homemade stuff. 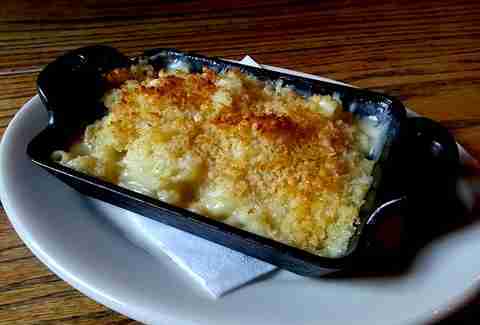 Served bubbling in a cast iron dish, this five-cheese, breadcrumb-topped model of comfort is relatively simple but excellent in execution. Like bench pressing gold, this plate is an exercise in decadence with a price tag upwards of $65. 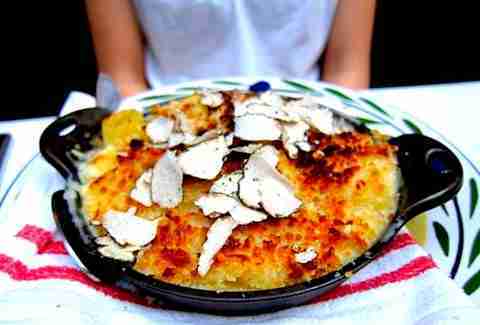 With that, though, comes shaved truffles, cheese with just the right balance of creamy and stringy, and a crunchy breadcrumb topping. 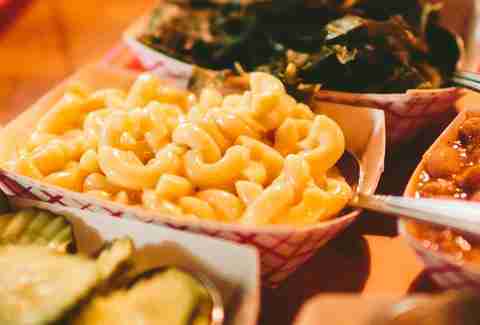 The mac and Joe is exactly what would happen if they let us in their kitchen late-night. 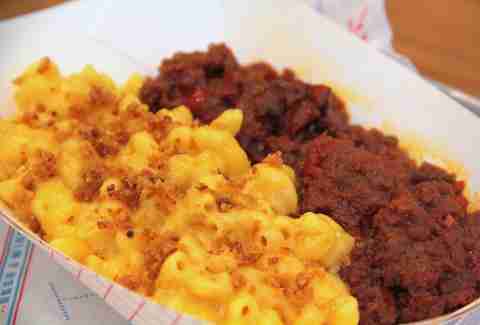 50% Sloppy Joe, 50% classic mac and cheese, 150% awesome. That's how math works, right? One of the less traditional and most creamy concoctions on the list, it's got the noodles mixed up with goat cheese, a healthy dose of rosemary, and a some shredded chicken. Also: upside-down fork!